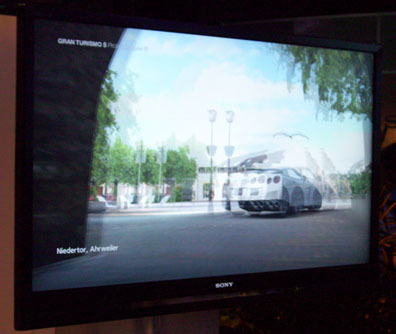 Sony has wowed CES with a demonstration of the PlayStation 3 in 3D. A Sony representative told Ars Technica that the PS3 display is “a look at what 3D could look like if Sony dedicated to move in this direction”. We certainly hope it will, because the Japanese electronics giant let fans play a 3D version of Wipeout HD at its CES stand. Sony also had 3D versions of Gran Turismo Prologue and MotorStorm on display. Sony’s keeping mum about the technology. But we know that, for the time being, gamers must wear those dorky 3D specs.